Cokemaking has evolved into a very efficient and sophisticated process. Cokemaking is one of the most important operations in the steel industry because it is the key to energy consumption in the plant and has a major influence on the operation of the blast furnace. Proper control and maintenance of the coke plant may offer solutions to many of the environmental problems associated with steel production. The course will present “state-ofthe-art” knowledge of the entire coke plant at a level that will be useful to producers, researchers and suppliers to the industry. While the focus of the course will be primarily on coke for blast furnaces, some consideration will be given to coke for other uses. The material presented and the structure of the course is continuously updated by a team of international experts. The course it is officially recognized by the Association for Iron & Steel Technology (AIST). Blast Furnace Ironmaking Course: An in-depth, week-long course that covers every aspect of blast furnace ironmaking, making it invaluable for managers, operators, engineers, researchers and suppliers of equipment, refractories and raw materials. 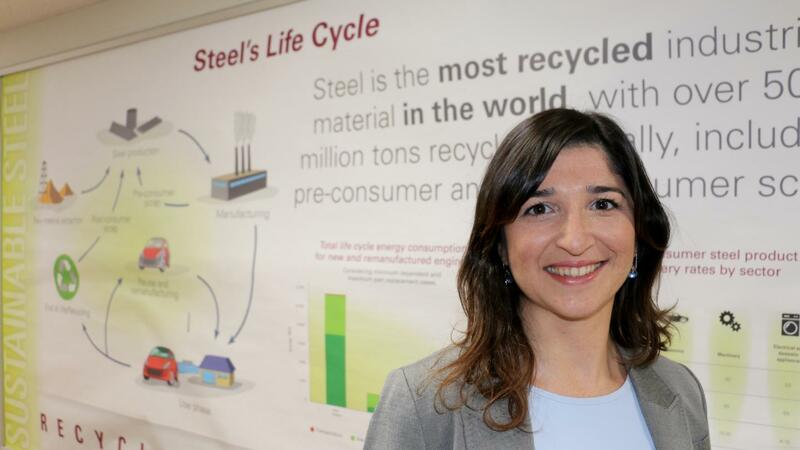 It is officially recognized by the American Iron and Steel Institute. McMaster University, the world renowned center for learning excellence, is pleased to announce the 25th Blast Furnace Ironmaking Course to be held at the McMaster University campus in Hamilton, ON, Canada. This Ironmaking course offers a unique opportunity to gain an in-depth view of blast furnace theory, operation, and best practices. Lectures are given by acknowledged experts in their fields coming from diversified backgrounds and global experience. It is an invaluable course for managers, operators, engineers, researchers, or anyone involved in supplying equipment, materials or raw materials to the ironmaking industry. There are a broad range of topics covered, ranging from: blast furnace design, reactions, day-to-day operation, operation during challenging conditions, campaign extension strategies, safety aspects and many more. In addition to the lectures, further learning and networking opportunities are gained through open discussions, training exercises/simulations, and a plant tour of a local ironmaking facility. Fundamental Principles Applied to Blast Furnace Safety, Fred Post and Ronald Koprash, Algoma. Blast Furnace Design I, Dave Berdusco, Paul Wurth Inc. Blast Furnace Design II, Peter Martin, Primetals Technologies. Ironmaking Refractories, Floris van Laar, Allied Mineral Technical Services, Inc. The evolution of ironmaking raw materials, equipment and practices will be reviewed from ancient Egypt to the present. The basic principles of iron making will be introduced throughout the historical development chronology. The final result of this presentation should be a basic understanding of the iron making process and the roots of the modern blast furnace facilities and operation. Art Cheng, Former SeverStal North America, Inc.
A blast furnace involves significant capital and energy intensive processes. Due to complex phenomena and the difficulty of taking measurements, the knowledge needed for process optimization can be most readily obtained through the development of high fidelity computational fluid dynamics (CFD) modeling and simulations. Such modeling and simulations are powerful tools that can provide detailed information on hydrodynamics, heat transfer, and chemical kinetics for gaining fundamental insights, investigating the impact of key operation and design parameters, and developing strategies to optimize the blast. Recently, Virtual Reality (VR) technology has provided an efficient means of visualizing and analyzing huge amounts of CFD data in a virtual environment. It allows people “walk” inside a blast furnace and enables us to have more intuitive and comprehensive understanding of complex phenomena and better communication with people of various technical backgrounds, leading to more innovative and cost-effective solutions. The Center for Innovation through Visualization and Simulation (CIVS) at Purdue University Calumet has developed and validated several state-of-the-art 3-D blast furnace CFD models in collaboration with steel companies. These CFD models include the hearth model, PCI model, and shaft model. Blast Furnace Simulators and Virtual Blast Furnaces have been developed through the integration of CFD modeling and VR visualization. The Blast Furnace Simulators have been used for the troubleshooting and optimization of blast furnace operation, resulting in the saving of multiple millions of dollars and significant reduction of furnace downtime. The Virtual Blast Furnaces have been used for training in steel companies and have received excellent feedback. Blast furnace ironmaking involves many chemical reactions. This is only to be expected since a number of quite different raw materials are used and the furnace environment spans a very wide temperature range. A good grasp for a small number of these reactions is essential to any reasonable understanding of the process. These key reactions involve iron oxides, carbon and carbonaceous gases. Our time today will be spent mainly on these. However, some references will also be made to elements that present problems – either to the blast furnace process itself or to its steelmaking customers. The physical configuration within the furnace needs to be understood since the important reactions occur between gases and solids and the efficiency and continuity of these contacts must be assured for good operation. The physical structure of the Cohesive Zone and its role as a gas distributor will be examined. Topics such as raw material quality, burden distribution and tuyere practice are also of vital importance in the control of the chemical reactions upon which stable and efficient operations rely. These will be covered in detail in other lectures of this course. Day-to-day blast furnace operations have improved as the process has become more thoroughly investigated and understood, and as standardized practices and techniques have been rigorously implemented. There is a substantial body of opinion, however, which tends to believe that those standardized practices do not and cannot apply to the more challenging operations, such as blow-in, blowdown, and especially chilled hearth recovery, because those circumstances are always uniquely different from furnace to furnace, and even for the same furnace at different times. That opinion is wrong. It turns out that standardized approaches to the more challenging operation circumstances are both available and proven to be directly applicable. This paper will be specifically address some general rules to avoid getting into blast furnace difficulty in the first place, followed by more detailed explanation of four elements of furnace shutdown (bank, gravel bank for reline, salamander tap, and blowdown), two types of restart (from bank and from empty furnace condition), and an additional segment on recovery from a cold furnace or chilled hearth condition. In each case, fundamental principles, and their application, will be explained. Ronald Koprash (Safety): One of the fundamental principles applied to Blast Furnace safety is Hazard Awareness. In this paper and presentation will discuss what a hazard is and how to evaluate the risk of each hazard. The responsibilities of the employer, supervisor and worker regarding hazards defined in legislation will be reviewed. The different types of hazards associated specifically with blast furnaces will be outlined along with the different methods of controlling hazards in the workplace. 15.- Burden Distribution and Aerodynamics , Steve Yaniga, U. S. Steel Corp. The manner of charging raw materials to the blast furnace affects the distribution of gases that reduce and heat the descending burden materials. The distribution of burden and gases in the stack has a strong effect on the efficiency of gas-solid reactions and on shaft permeability. These in turn have a large influence on furnace performance as measured by fuel rate and productivity. In addition, burden and gas distribution have an effect on furnace lining life and hot metal chemistry. In this lecture the effects of raw material characteristics, charging practices, charging equipment and furnace geometry on burden and gas distribution and furnace performance are presented. Fundamental concepts and techniques used to physically and mathematically model burden and gas distribution are reviewed. Practical applications of instrumentation to measure and control burden distribution are presented. Some examples are given concerning the use of various types of charging equipment to improve burden and gas distribution and furnace performance. Finally, some principles are outlined for the optimization of burden and gas distribution with respect to furnace fuel efficiency, productivity and lining wear. Simplified mass and energy balances are outlined for the purpose of optimizing blast furnace operations. A summary of useful blast furnace related data from numerous sources is presented. Tuyere zone, stack and general blast furnace reactions are reviewed from an energy standpoint. The impact of variability in blast furnace input parameters is discussed. "Rules of Thumb" relating furnace raw material and practice changes to energy consumption are reviewed. These principles are demonstrated through a computer simulation model "The Blast furnace Game" that uses mass, energy, chemical and cost balances to assess means of improving the blast furnace process. solution. Optimization of both Ironmaking and Steelmaking is dependent upon regular and consistent communication, working models and a fundamental understanding of each other’s business. The production planning process translates market demands into facility deliverables for each operation. Hot metal specifications generally reflect a balance between the plant infrastructure and technology utilized, process capability, raw material inputs along with the internal customer requirements. Management of hot metal inventory is a primary consideration for operational and process control which supports the monthly or annual production and cost targets. Opportunities to lower costs are available through recycling of by-products and other wastes into the Blast Furnace. 5.- Blast Furnace Design I, Dave Berdusco, Paul Wurth Inc.
Today’s efficient blast furnace operations have evolved through developments in raw materials preparation and quality; blast furnace design, including profile, cooling system, refractory configuration; cast house layout and operations; improvements in equipment and the application of automation, controls and Blast Furnace Expert Systems. This lecture which is complementary to others being presented on the course, reviews the following components and sub-systems which form the blast furnace iron making plant. This lecture will discuss the history of blast modification used in the blast furnace. Discussions on combustion reactions and raceway phenomena will provide the background to the concept of replacement ratio. Examples of the replacement ratio will be given. The impact of fuel injection on burden and gas distribution will be described. The injectants discussed will be natural gas, oil, tar and coal. This presentation will attempt to impart an understanding of the principles behind casting practice and their effect on Blast Furnace operation. The presentation will follow a path beginning with a review of technological limitations on pre 1970 designed casthouses and refractories. It will then be followed by explanations of present day furnace process requirements and Blast Furnace Operator's casthouse objectives. An example of modernizing a 1960's vintage two taphole furnace will be discussed. The discussion will follow the evolution of this modernization including installation of tilting runners and a fugitive emission collection system during operation, results of trough water modeling studies, and the complete revamp of both casthouses during a reline. Blast Furnace in integrated steel works not only produces hot metal for steelmaking, but also supplying by-product gas to the steel works as a whole. When a Blast Furnace reaches its end of campaign must be performed a campaign extension plan or a reline outage. In the last years Blast Furnace Campaign Extension and Reline have become very important for Ironmaking under its four key issues: safety, schedule, budget and technical quality. This lecture will present the different aspects of each stages of a Blast Furnace Campaign Extension and Reline as: engineering, planning, purchase, pre-works, blow-down, quench, salamander tap and cleaning, reline proper (Full, Major, Partial or Repair), commissioning, test and blow-in. This presentation will focus on the evolution of iron making practice in Western Europe in the past and highlight some technological aspects, like: Introduction into the development in hot metal production, progress of the structure of reductants and ore burden materials, evaluation of constructional features and equipment of the blast furnaces, presentation of the largest European hot metal producing companies and further outlook for the European ironmaking scenario. The integrated steel works in EU 27 operate many modern plants for the production of a wide variety of high grade steel products. The blast furnace/converter route will remain dominant. Control of emissions is mainly related to concentration of dust, SO2, NOx, dioxins and other substances. Some developments in sinter plant waste gas cleaning or waste gas recycling are presented. One main focus is set on the emissions of CO2 and the CO2 emission trading system. New processes in ironmaking to reduce CO2 emissions are described. With respect to the international finance crisis which also affected the steel industry the question is answered “How flexibly can metallurgical plants be operated?“. The plunge in order intakes in late 2008 called for decisions which produce immediate effect, in order to adapt the entire chain to the requirements, beginning with logistics and warehousing of raw materials down to the linked production units of integrated works. Suitable measures realized at coke oven batteries and blast furnaces are described. Floris van Laar, Integrated Steel Allied Minerals Products Inc. The blast furnace is one of the most efficient iron making facility in existence. The iron making process must have reliable refractory systems to sustain its operation. All high temperature process areas are protected by refractory systems. This paper focuses on refractories systems and materials with which operators have to cope with. Also equipment components, which depend on long-term stability of the refractory systems, like the furnace hearth and hot blast stoves, are reviewed. The criteria in taking the proper steps for iron making refractory materials selection and how to operate systems with-in predictable limits will be discussed. Iron ore pellets, sinter, and lamp ore are the main iron-bearing burden materials used in the blast furnace. This lecture will cover how properties of pellets and sinter affect blast furnace performance in terms of fuel consumption, production, and campaign life. The choice between pellets and sinter is largely a matter of mineralogy of ore and geographic location of iron ore sources relative to the steel mill. Limestone and dolomite fluxed pellets are widely used in North America in view of their improved metallurgical properties which significantly improve blast furnace efficiency. Recycling of in-plant generated steel mill wastes has become an important function of the Sintering process. Briquetting is occasionally employed for the same purpose. Direct reduced iron (DRI) or hot briquetted iron (BBI) is used to improve productivity of the blast furnace. Handling, economic, and technical considerations in using these unconventional materials in the blast furnace will be covered. Pellet and sinter property needs are more stringent for high productivity and low coke rate (due to high coal and/or natural gas injection rates at the tuyere) blast furnace operation. An integrated system perspective, including iron production priorities, blast furnace equipment, and raw materials, is essential for selecting optimum iron-bearing burden material composition for a specific blast furnace. The exponential growth in the Chinese ironmaking industry in the last 20 years resulted in over 1,300 blast furnaces, large and small, producing more than 50% of world pig iron. Following the footsteps of European and Japanese iron makers, the Chinese has pushed the science and art of ironmaking to a new level garnered by vast numbers of trained professionals in ironmaking and steelmaking, supported by many universities and research institutes, and guided by various government agencies. The presentation covers the widely practiced top gas dry dedusting system, highly efficient top fired stoves and many new and innovative wastereduction and energy-saving technologies such as waste heat recovery and zero blast furnace gas flaring at many blast furnaces in China. Details are given to the record (> 1300 0C) hot blast temperature achieved at two new 5,500 m3 blast furnaces in Jingtang Steel and the very high (240 kg/thm) PCI rate practiced at Baosteel. The largest blast furnace (5,800 m3) in the world built at Shagang is briefly described. Future challenges for the Chinese blast furnaces and practices are also presented. The competitive realities of modern blast furnace practice necessitate high standards of product delivery, quality, safety, environmental compliance and extended asset life. All need to be achieved consistently at an acceptable cost. The development of sound operating control strategies is a basic necessity. Near term control of production rate and quality are strongly dependent on strategies to control thermal balance and gas distribution. These are increasingly based on complex models founded in basics of thermodynamics and fluid flow. Data from sophisticated sensors and probes is required for successful application. Proper calibration and maintenance standards are essential to operator confidence and interpretation. In the longer term, decisions about raw materials sourcing and preparation set the foundations for process capability. Decision makers must be able to respond to variations in market pricing while respecting guidelines that define the boundaries for adequate operation. In both the shortest and longest terms, diligent monitoring of asset status provides the key to maximising process safety and value extraction from any furnace asset. These data also provide the best basis for improvement decisions at reline time. This paper will also discuss hearth dynamics and explain the formation, behaviour and influence of the deadman coke bed. The interpretation of hearth thermocouple data in relation to both refractory wear and liquid flow regimes will also be discussed. Abstract: The last decade was a turbulent for the steel industry. The reorganization of steel industry across borders has progressed and the increased demand for steel products has made the price of raw materials such as iron ore and metallurgical coal more volatile than ever. Ironmaking technology division in JAPAN has been exposed to global competition and has tried to cope with these changes and to increase its international competitiveness by developing such technologies as utilization of lower grade raw materials, productivity enhancement, measures for energy conservation and reduction of CO2 and NOx emission and so on. This paper describes the recent progress in ironmaking technologies in JAPAN. In order to establish and maintain maximum output of the blast furnace, equipment reliability is paramount. On a day to day, week to week and month to month basis the blast furnace is required to operate without interruption to allow downstream processes to function with a consistent supply of hot metal, liquid steel and semi-finished product. Only then can the integrated steel production facility maximize equipment assets to produce a quality product, on schedule and within set budgets. At the blast furnace, there must be a proper maintenance strategy to ensure reliable, consistent operation, with provision for timely outages and possibilities to use unscheduled outages. The key word is “installation condition knowhow”, which starts with knowhow of the built installation and recognition of the critical installation parts. That should be combined with a simple inspection system, which provides knowhow over the condition and signals future breakdown treats of the working installation. When you measure it, you can control it. When you control it, you can improve it. But when you want to control everything, You are not driving fast enough ! That means make the choice, based at knowhow of skilled personal, what you will measure and how to improve your installation performance. But do not overact such measuring and preventive maintenance actions, otherwise your maintenance will be very costly. Assisted by a maintenance information system which must show trends in wear and degrading, so that maintenance actions can planned in time, just before breakdown or performance quality loss. Thus resulting in a high installation availability and performance with the lowest maintenance costs. Extra concerns are the essentials for campaign extension and contingency measures which may be prepared. This presentation is intended to explain this program and factors required that influence its success. The role of the blast furnace in steel production is discussed, followed by the trends in blast furnace performance. The issues facing the blast furnace process are: external such as coke supply and internal such as limitations on coal injection and hearth life, as influenced by phenomena in the various furnace zones. The challenges to the blast furnace process include both alternative steel production routes such as the integrated DRI/scrap/EAF mode and also alternative hot metal processes. These DRI and alternative hot metal processes will be listed with comments as to their future success. Testing This presentation will contrast the coke requirements for successful blast furnace operation with requirements for the cokemaking process. In many cases these requirements conflict with each other. Production of high quality coke necessary for efficient blast furnace operation is limited at the coke plant by coal cost and availability, coke production throughput, and coke battery life. The objective is to facilitate a better understanding between ironmakers and cokemakers with the ultimate purpose of producing the lowest cost, highest quality steel. The following topics will be covered: 1) coke properties and their importance to the iron making process, 2) coke production and the theory of carbonization, 3) factors affecting coke quality, battery productivity, and battery life. $650 Includes five nights in McMaster University residence, five breakfasts and two dinners. Reservations can also be made by contacting the 24 hour, toll-free reservations line at 1-888-627-8161 and asking for the ‘McMaster Coke Making Course’ group block. Hamilton is conveniently located in the heart of Southeastern Ontario, one of Canada's most prosperous areas. The Great Lakes and the Niagara region are within easy drives. The flight possibilities are excellent. The McMaster campus is a 45-minute drive from Toronto's Pearson International Airport. Hamilton is also served by its own Hamilton International Airport. McMaster campus, which is restricted to pedestrian traffic, is at the western end of Lake Ontario. Area attractions include Cootes Paradise, the Bruce Trail, the Niagara Escarpment, the Waterfront Trail, and the Royal Botanical Gardens. The University is minutes from downtown Hamilton, Ontario, and the activities that a major city has to offer. Buses from the region's public transit system make frequent stops on campus, facilitating travelling between McMaster, Hamilton, and the surrounding area. Coke and its properties are fundamental to the energy and productivity of the iron blast furnace process which is still today the most energy efficient method to produce hot metal for steelmaking. The course will present “state-of-the-art” knowledge of the entire cokemaking process at a level that will be useful to operators, researchers and suppliers to the industry. This course will provide fundamental and practical information from global industry experts who will cover a comprehensive list of topics from coal in the ground, through the cokemaking process and into the blast furnace including By-products. Tar and Light Oil Recovery, Carter Dumont, U. S. Steel Canada. Cokemaking has ancient origins. There are references that indicate that the Greeks were aware of the carbonization of coal as early as 371 BC. Since that time, the coking of coals has been accomplished in pits, mounds, and retorts, as well as beehive and slot type ovens. Modern use of coke for ironmaking dates to Abraham Darby of England in about 1708. In America, early cokemaking was centered in the Connellsville region of Southwestern Pennsylvania. There, the beehive ovens that were operated, were well suited for coking the rich bituminous coals of the Pittsburgh seam. The immense value of Connellsville coke as a blast furnace fuel was firmly established in 1859, at the Clinton Furnace of Graf Bennett Company. This facility was located across the Monongahela River from downtown Pittsburgh. Most coke plants in operation today can trace their origins to Europe, where slot ovens were developed beginning in the second half of the nineteenth century. Slot ovens originally evolved for two separate reasons: first, for the collection of the byproducts of the cokemaking process; second, for the manufacture of a suitable quality blast furnace fuel, while utilizing the lower rank European coals. At least in America, slot oven production did not exceed that made in beehive ovens until the early part of the twentieth century. Evolution of byproduct ovens can be seen to occur in three specific areas: improvements in heating systems; development of machinery; and also in testing and selection of more suitable refractory materials. Although the vast majority of plants today make coke in slot ovens, we may have come full circle as an industry. Recent events show that a return to modern beehive ovens may be at hand. Metallurgical coals utilized annually by the global cokemaking industry currently totals approximately 1.0 billion metric tonnes. Coal accounts for about 20-25% of finished steel costs at an integrated steel works, where raw materials amount to approximately 50% of the steel produced. This amounts to a substantial capital cost spent every year by the mills where the coke plants exist as an integral part of the industry. This lecture discusses chemical, microscopic and thermal rheological properties of coals and how these relate to those of resulting cokes. Also, techniques for examining coal properties developed by different laboratories will be introduced and compared. Chemically, the rank of a coal is measured by its carbon or volatile matter content. Microscopically, coal rank is determined by the amount of polarized light reflected by its vitrinite macerals. The different organic particles (macerals) present in coal are classified as reactive or inert for coking purposes. Thermal rheological properties including dilatation, fluidity, FSI, caking index G, Sapozhnikov X/Y provide useful information on coal to coke transformation. Under the microscope, coke reveals textures/carbon forms that are derived from coal's reactive and inert components during coking. Chemical, microscopic and thermal rheological parameters are often used individually or in combination to understand carbonization behaviour and coke properties of coals and blends. Hardarshan S. Valia, Coal Science, Inc. In the coming years, more rigid coke quality requirements will be placed on coke producers as ironmakers try to increase productivity and reduce costs by reducing the coke rate and by increasing the pulverized coal injection rate. Thus, the challenge to a coke producer will be in designing a coal blend that on carbonization would consistently produce a high quality-low cost coke with safe oven pushing performance. With this in mind, this lecture is designed to cover the coal design efforts from the following categories: (a) coal blend design to satisfy coke physical properties; (b) coal blend design to satisfy coke chemical properties; (c) coal blend design to satisfy coke oven pushing performance; (d) coal blend design to satisfy maximum usage of low value carbon material; (e) economic evaluation of the designed blend; and, (f) assurance of high quality coal shipment. Ted Todoschuk, ArcelorMittal Dofasco Inc.
A "Coke Oven Game" has been developed in order to provide a forum within which the participants will gain an understanding of some of the concepts being presented and an appreciation of the complexities involved in the manufacturing of coke. A two-part exercise has been developed to apply the lecturer’s material being presented. In a team environment, the participants will deal with blend design and battery operation issues. Using a standard set of coking conditions, participants will select coals to formulate a blend that will minimize coal purchase cost while maintaining the required coke quality for the Blast Furnace. Participants will have to redesign the blend to compensate for changes in coal availability, coal moisture and coking time. The impact of these changes on cokemaking costs, coke quality and ironmaking operation will be addressed. Rules of thumb will be outlined relating coal selection and battery operation to product quality and operational costs. The blast furnace is a counter current packed bed chemical reactor in which ferrous and coke materials descend and are preheated by hot gases rising from the raceway combustion zone in front of the tuyeres where coke and injectants undergo combustion reactions with oxygen from the hot blast. The hot reducing gases rising from the raceway zone pass through an active coke zone, through the coke slits in the cohesive zone and flow upward through layers of ore and coke. The ferrous and flux materials melt off the cohesive layers at the inner edge, drip downward through the active coke zone and collect in the hearth as hot metal and slag. 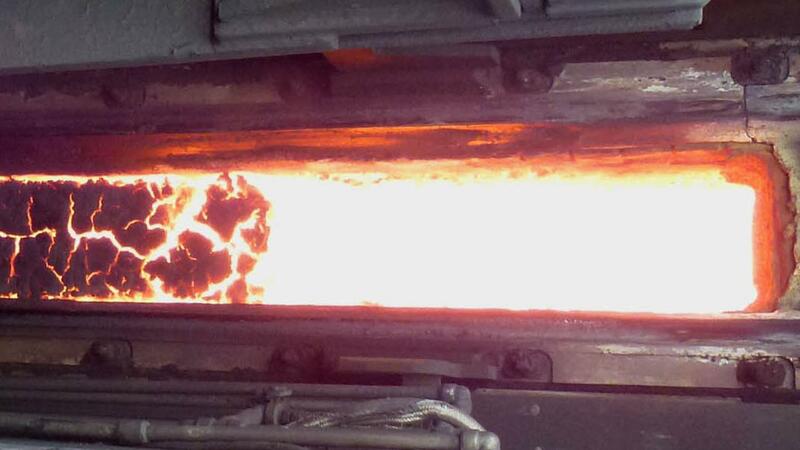 Thus, below the inner edge of the cohesive zone, coke is the only solid material in the furnace. A fuel providing the energy required for endothermic chemical reactions and for melting of iron and slag. A reductant by providing reducing gases for iron oxide reduction. A permeable grid providing for passage of liquids and gasses in the furnace, particularly in the lower part of the furnace. In this lecture we will outline the key physical and chemical aspects of the blast furnace process with emphasis on the role played by coke. The impact of coke chemistry: ash, sulfur, VM, alkalis, P, and coke moisture on the process will be outlined. The effects of coke physical properties: stability, sizing, and shape, on permeability and gas distribution, will be presented, along with the impact of coke metallurgical properties: coke strength after reaction and reactivity. The importance of consistent coke properties will be emphasized. Today BF operations are characterized by low coke rates, high CSR values, selective coke size distribution, high pulverized coal/natural gas/oil injection and a low total fuel consumption. The coke quality requirements are stringent. BF coke is produced in either slot-type or beehive ovens where the coal is carbonized in vertical layers with indirect heat transfer, and horizontal layers with direct heat transfer, respectively. Charging coal is a blend of several components, each with volatiles of approximately 16 to 35% d.a.b. The softening and swelling properties (fluidity, swelling, dilatometer data) ascertain the coke quality. The individual softening properties in a blend must be overlapping. Mineral content influences CO2 resistance and coke deterioration in the blast furnace. The transition from coal to semi coke - thermal decomposition - occurs in the plastic layer (about 400 to 550°C), characterized by softening, devolatilization and swelling of the viscous coal mass, formation of clusters or mosaics, and finally formation of the porous semi coke structure, the pores caused by gas entrapped in the hardening viscous coal mass. Decomposed hydrocarbons with high softening temperatures are infiltrated into the "cold" side of the plastic layer and also transported onto the "hot" side of the plastic layer. Micro channels are blocked between the uncarbonized coal particles and in the newly generated semi coke layer ("impregnation"). The gas permeability is reduced, the pressure in the plastic layer increased. Heating wall load may occur. Decomposed and vaporized hydrocarbons escape via cracks in the coke layer onto the heating wall and from there to the gas free space. A small percentage is transferred into the uncarbonized coal center layer and from there into the gas free space. Raw gas is cracked on the way through the hot coke; the generated low reactive pyrolytic carbon forms a "coating" inside the pores and protects the coke from CO2 degradation. The carbonization rate (heating flue temperature) influences the longitudinal and cross-fissuring (Micum 40, IRSID 40, ASTM-Stability) and the cost efficiency. The fissuring starts in the semi coke very near the plastic zone. The final coke temperature dominates the abrasion strength (Micum 10, IRSID 20, ASTM-Hardness, CSR/CRI). Anti-fissuring blend additives are superfine coke breeze and low VM coals. Flue temperatures range from 1250 to 1350°; 1450°C has been experienced in certain cases even under long-term conditions. Experimental work has been carried out on shock cooled pilot and full scale oven charges using different coals, wet and preheated, top charged, stamp charged and sandwich charged. Market conditions and environmental regulations influence the coke industry and in turn the design features of the modern coke oven battery whether it is the byproduct type, or the non-recovery type. Different heating systems are reviewed especially with regard to their capability of heat distribution in the vertical and horizontal directions and their impact on energy consumption and NOx formation. Criteria for the selection of oven size in relation to cycle time and machinery utilization for both the byproduct type and non-recovery type are presented. Choice of materials of construction and engineering design is discussed as they relate to long service life of the coke battery. Specific design concepts for the oven bracing system, oven doors and jambs, standpipes and collecting mains are introduced. Special attention is given to measures taken to achieve the lowest possible emission levels and to meet the pertinent environmental regulations. Due to its superior environmental performance, heat recovery cokemaking will be the key component of any future increased coke making capacity in North America. Other advantages in terms of coke quality, economic performance and coal blend versatility make understanding heat-recovery cokemaking critical as a component of the entire steel-making value stream. A number of case studies of heat-recovery cokemaking will be presented to highlight critical elements from the discussion of the fundamentals, including the integrated steel making energy balance and near-zero venting performance. An interactive workshop has been developed to apply or gain understanding of the lecturer’s notes on the application of heating principles with linkages to coke plant operation and quality assurance. The workshop will focus on the learning’s from the lecture to work toward the root cause for a current set of conditions impacting coke quality as noted by the customer. The lecture will outline the various battery designs, their differences and their battery heating control strategies. Understanding the impact of varying the types of fuel and or the amount of combustion air has on the battery and the efficiency of the conversion of coal to coke. Defining the key input and output process variables for battery process control. What heating parameters impact; heating rate, finishing temperature and soak time in the transformation of coal to coke. Control strategies to manage heating and maintain the life of the facility during planned and unplanned operational delays. Brian Onishenko, Algoma Steel Inc.
Why is it there and what does it do? Who are its main suppliers and customers? What are its main products, by-products and services? The relationship with the By-Products Plant’s main supplier/customer, the Coke Ovens, is explored in some detail. The primary condensation and cooling steps are reviewed along with a discussion of gas compression. The foundation is laid for subsequent lectures which study, in detail, the processes used to recover specific by-products. Today, and for the foreseeable future, the byproduct recovery type coking process will remain the predominant technology used for the production of metallurgical grade coke in North America and around the world. At the same time, environmental aspects of coke production are considered to be some of the most significant environmental issues facing the modern integrated steel works. Existing regulatory frameworks have already had a profound effect on how coke facilities are operated and managed. However, a new generation of environmental issues such as climate change, strengthened links between emissions and human health effects, increased public awareness and access to plant environmental performance information will continue to exert influence on the industry. This lecture and accompanying paper will discuss international regulations, the environmental issues facing cokemakers and emission controls (technical and procedural) to reduce emissions to both air and water. Removal of ammonia from COG is primarily necessary to control the corrosion of the byproduct equipment, the formation of ammonium salt-based deposits in COG piping, etc. The removal of hydrogen sulfide remains an environmental issue. At the first and second Cokemaking Courses, we discussed general technologies, underlying chemistry, and typical applications. This paper focuses on the operation and maintenance of the existing ammonia and sulfur removal processes as used in the cokemaking industry, particularly in view of operating performance experience, maintenance, and operating costs. Several arguments are presented for streamlining and simplification of traditional processing schemes aimed at reducing the overall operating cost. This paper also draws attention to a few small, but quite interesting innovations available for both ammonia removal and processing and sulfur removal and processing. The quality of coke oven gas generated within the coking chamber is reviewed from the standpoint of its impact on the operation of the downstream coal chemicals plant. The resultant gas quality is then studied relative to the consumers at the coke plant and elsewhere within the steelworks. Effects considered include impact on tar quality, corrosion and sludge formation in the light oil recovery area, and corrosion and deposition throughout the gas handling system. Strategies to control adverse effects are considered. This session will discuss the primary chemical compounds which are driven off during the coking of coal. The chemical and physical characteristics of coke oven gas, light oils, and tar, especially the properties of each that are desirable to customers, are discussed. Some simple tests for these properties will be listed. The methods of separating these chemicals, and common vessel designs including box and conical tar decanters, tar centrifuges, tar dehydrators, light oil absorption and distillation plants, and cryogenic processes. Commercial aspects including typical costs of operation of a light oil plant vs. value of recovered light oil. Operation with no light oil recovery but wash oil final cooler or naphthalene scrubbers will be presented. The coking process is energy intensive as it involves the heating of coal to coking temperatures, with the end product being red hot coke. During the heating process the volatile matter in the coal is driven off as raw coke oven gas. The treatment of the raw coke oven gas in byproduct recovery coke ovens is energy intensive as well, since it involves the pumping and cleaning of the gas stream to remove individual byproduct components. The combustion of the volatile matter in heat recovery coke ovens can provide significant power generation. The coking coal provides the raw material to the coking process, and indirectly provides nearly all process energy requirements. The operation of byproduct and heat recovery coke ovens in producing coke and recovering the volatile matter generated either as byproducts or as recovered energy will be reviewed from an energy perspective, and opportunities for change and improvement will be discussed. Steady state heat and mass balances of the process will be outlined as well as the impact of the coke oven operation on the plant energy balance. The effect of variability in the process will also be discussed with a view to the impact on both coke oven and plant operations. Coke oven machines are a special breed, working in a hot and dusty environment and performing varied functions while traveling from oven to oven. Following decades of improvements to the coke battery design especially to meet the ever-increasing demands of pollution control, the coke oven machines have also undergone changes and reap the benefits of advanced control technology. This lecture describes briefly the features of the different machines serving modern batteries and in detail the automation of machines. Discussion on automation includes not only the sequential operation of various functions of individual machines but also how the data collection system on the machines and their evaluation are used in the overall control of the battery operation. The economic and social benefits of automation are reviewed. In a context of very unstable coke market, the Steel Companies need some security for coke supply. For this reason, many efforts are done to maintain or to increase the coke production capacities in order to be self sufficient. Besides new capacities under construction, life prolongation of the existing batteries is a key to support the long term blast furnace fuel strategy. To prolong battery asset life, the coke oven managers defined operation strategies based on safe coal blends, consistent operations, regular quantification of battery ageing, preventive maintenance and skilled operators. Cory Evans, Algoma Steel Inc.